If you’re the kind of person who likes to do it yourself, here are some suggestions for performing maintenance on your outboard motor. First, it’s important to note that present day marine equipment is quite sensitive, and represents advanced technological machinery. Make sure to have the proper training before performing maintenance on these sensitive technological systems. Don’t perform maintenance that’s not covered in the service manual unless aware of the procedures and precautions, otherwise, your safety could be at risk. There are simple procedures, like premixing fuel with gasoline and Yamaha 2S oil, which all outboard engine owners should know. However, the service manual is written for technicians who have received special training, and if the manual doesn’t make sense, it’s best not to attempt maintenance. Make sure to have the special tools and equipment needed for maintenance, and never substitute generic equipment (like wrenches, screwdrivers, or hammers) when a special tool is necessary. For complex maintenance, it’s best to take in the outboard to a local dealer. All dealerships have qualified trained technicians, who can perform maintenance and even provide more advice on how to do it yourself. When looking through the standard owner’s manual for a boat engine, it’s important to note that the engine oil capacities listed are approximate. In addition, the engine oil capacity is reflective of the entire lubrication system. For this reason, when filling the engine, sometimes boat owners will notice that the engine is filled before the indicated amount of oil is used. Once oil is inside the engine, it’s quite difficult to ensure that all the oil is drained during an oil change. The residual oil left in the engine is the reason that it cannot be filled with the recommended amount of oil. For a popular engine model, like the MerCruiser from Mercury, it’s important to fill the crankcase according to the dipstick when the engine is level. If the oil is at the mark, then it as the proper level regardless of how much additional oil is put in. Never overfill the crankcase, and always ensure that the right oil is used. For example, for a MerCruiser engine, use Mercury oil from the manufacturer for better performance and to preserve the life of the engine. The engine oil level should be between the add and full marks on the dipstick. The average outboard engine runs for about 1,500 hours before requiring significant maintenance. While this number might seem a little surprising, the average owner only uses their outboard for about 200 hours per year, thus, the average outboard motor can be expected to last 7-8 years, which isn’t an unreasonable amount of time. However, it is possible to ensure an outboard lasts much longer with regular maintenance, and a few due diligence practices. For example, with two stroke outboard engines, it’s important to have the right mixture of gasoline to marine engine oil. When two stroke outboard engines don’t have the proper gasoline to oil mixture, it can cause the engine to wear down much faster. Winterizing the engine when not in use is a good idea, and ensuring that the engine is stored in a proper location is also important. With proper maintenance, it’s possible to extend the life of an engine by a considerable amount, up to 500 hours for regular maintenance, and even up to 1,000 hours for those boaters with the utmost dedication. Maintenance and care will prolong the life of the engine, and overall, save a lot of money. It’s estimated that about 70-80% of the outboard engines sold are 4 stroke engines, and much of the reason is due to a common misconception about 2 stroke engines. In the past, 2 stroke engines suffered from terrible fuel economy and were known for spewing exhaust and pollution. However, in the last decade, that traditional 2 stroke engine archetype has changed… a lot. Most of the old 2 stroke engines that were oversized gas guzzlers have been replaced with direct injected and fuel injected 2 stroke engines. These new engines are state of the art, and conserve fuel while offering great power. While 2 stroke engines were worse off in several categories when compared to 4 stroke engines, there is one area in which the 2 stroke engine excelled. 2 stroke engines are more reliable than 4 stroke engines due to their more simplistic design. Owners who tend to their 2 stroke engine with proper care will have an engine that can last for a long time. The new 2 stroke engines are just as reliable as their older counterparts. The new direct injected and fuel injected 2 stroke engines use a metered stream of 2 stroke oil to lubricate all the rings and bearings, ensuring the engine remains in top condition while improving fuel economy. This innovation makes the 2 stroke the sheer winner over the 4 stroke engine. Honda Marine, one of the premier manufacturers of outboard motors, introduced it’s all new BF60 outboard engine at the end of May. This new outboard is ideal for pontoons, skiffs, inflatables, and aluminum bass and walleye boats. The new BF60 provides excellent fuel efficiency, consuming less gasoline and boat motor oil than most other outboard engines of the same class. 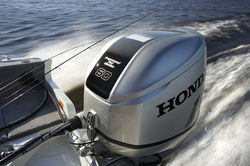 In addition, the BF60 runs quiet, making it the ideal outboard engine for fishermen. The new BF60 is also great for trolling as it has a superior battery capacity to keep electronics charged all the time. In addition, the engine weighs just 239lbs, making it one of the lightest engines in its class. Honda designed the new BF60 with the environment in mind as well, and the engine has low emissions and meets the rigorous standards of the California Air Resources Board (CARB). In addition to this new engine, all Honda outboard engines meet CARB standards, and with models ranging from 2 to 225 horsepower, there’s an outboard engine for all boaters from Honda Marine. There’s a new direct fuel injection (DFI) technology about to hit the boating market, and it’s called E-Tec from Evinrude. This new technology boasts more than just a new DFI system; it’s a whole new line of outboard motors. Evinrude has been the premier manufacturer of two stroke outboard motors for decades, and their new E-Tec technology is perhaps their greatest innovation since the inception of their two stroke outboard. E-Tec outboard motors were designed to make owning and operating an outboard motor as simple as possible. E-Tec engines are manufactured with special alloys, including a NASA developed alloy used in the pistons which makes them almost three times as strong as standard aluminum pistons. E-Tec engines are designed to run on all TC-W3 certified outboard oils, not just Evinrude outboard oil which can be more or less expensive depending on the retailer. The E-Tec engine also burns cleaner than most two stroke outboards and has earned the praise of the EPA and numerous other environmental protection groups. E-Tec engines are the future of two stroke outboards, and are proof that though the two stroke engine is an aging technology, it is by no means an ailing technology. E-Tec two stroke outboards will have a place in a greener future. Mercury Racing, a division of Mercury Marine, is the leading provider of marine engines for the performance minded boating enthusiast. 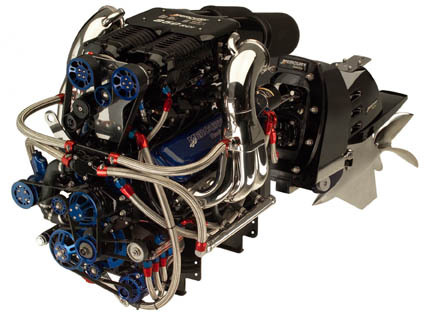 Mercury Racing offers an exciting line of marine engines, parts, and accessories which utilize cutting-edge technology and represent the finest in quality. Mercury Racing provides outboards, sterndrives, and propellers designed for high performance boat racing. For the best performance, these products from Mercury Racing are best used in tandem with other Mercury products, including Mercury engine oil which ensures the engine operates at peak performance and doesn’t wear out. Mercury has a reputation for top quality, and Mercury Racing powered boats win more races and set more records worldwide when compared to other marine engine manufacturers. 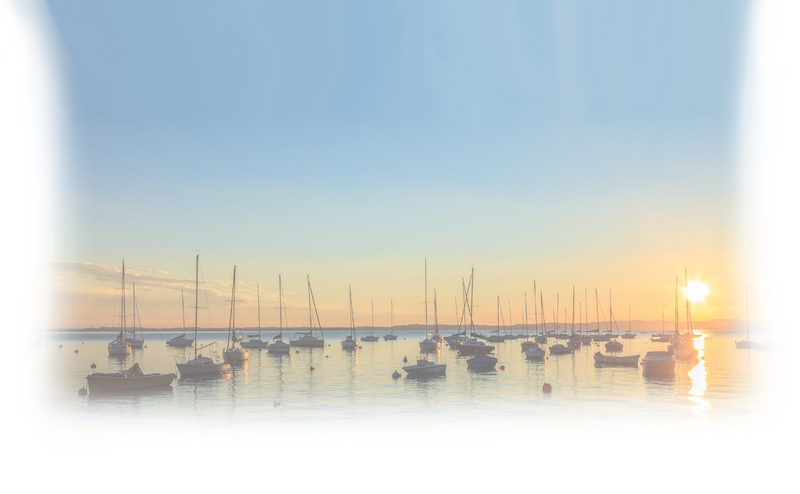 When purchasing Mercury products, boating enthusiasts can know that they’re receiving the best. Mercury Racing products can be purchased direct from the manufacturer or through numerous retailers. Provided the product bears the original mark from Mercury, the owner can know their purchase is a good investment. With people around the world concerned about the effect of pollution on the environment, Yamaha has committed itself to designing cleaner engines. In one of several steps towards clean energy, Yamaha has stated that it will manufacture electric motorcycles by 2010. These motorcycles will be able to travel about 60-70 miles on a single charge. In addition, Yamaha has extended efforts to make its existing technologies friendlier to the environment. For outboard motors, Yamaha has developed full synthetic outboard motor oil. This new Yamaha oil provides better engine performance, and is much easier on the environment. The new synthetic Yamaha oil is formulated for use in all kinds of Yamaha motors including outboards, motorcycles, WaveRunners, ATVs, and snowmobiles. Yamaha has also been at the forefront of designing cleaner and more efficient engines for almost a decade, and now has several available on the market. Companies like Yamaha are designing the products that the modern consumer wants. In addition, with Yamaha products, consumers can rest assured that the product will still possess the same renowned quality expected from the Yamaha brand. While using synthetic oil in an engine provides several benefits over conventional mineral oil, there are certain disadvantages as well. For example, the initial cost of synthetic motor oil can be two to four times more than that of mineral oil. However, this cost has declined over time. The lower friction of synthetic oil can also be a problem for the break-in period of the engine, where friction is desirable to cause wear. There is also the potential for stress fractures to occur in certain plastic components of the engine, and for decomposition to occur in chemical environments (often industrial use). In addition, for automobiles, synthetic oil is not recommended for use in rotary engines. While there are some disadvantages to using synthetic oil, the advantages tend to outweigh the potential disadvantages. For outboards, Evinrude XD100 oil is one of the top synthetic oils available. Evinrude XD100 oil is ideal for outboards because the engines are under high stress conditions, where synthetic oil prevails over mineral oil. Lotus is one of the premier automobile manufacturers in the world, and is well respected in the industry for their innovation. At the 2009 Geneva Auto Show, Lotus unveiled their next generation two cycle engine, named the Omnivore. This two cycle engine is the latest in fuel efficient engines and utilizes a variable compression ratio system paired with two cycle operation and direct fuel injection. These unique characteristics allow the engine better fuel efficiency with sustainable alcohol based fuels. The engine is quite an improvement over traditional two cycle engines that are known for their less efficient fuel consumption and pollution. The new Omnivore two cycle engine eliminates the need for gasoline and two cycle oil, and is a more sustainable technology. In several years, we might see the Omnivore engine in Lotus models, and similar two cycle engines in other automobiles. While some people thought two cycle technology was a thing of the past, Lotus is proving that the two cycle engine still has a place in the future. 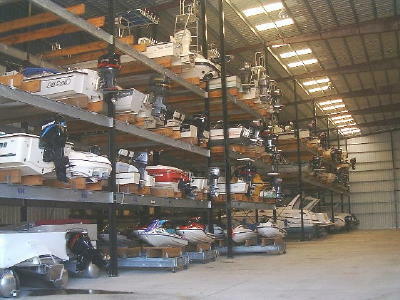 When storing a WaveRunner for the off-season, it’s important to ensure that all the mechanical work is done beforehand. It’s a good idea to service the vehicle before it is stored (if the WaveRunner is due for its scheduled maintenance). It’s also essential to change the oil and filter before storage, as used oil can corrode the engine. Be sure to use Yamalube 2W oil in the engine, as this is the premium oil from Yamaha that is 100% safe and recommended for all WaveRunners. While changing the oil and filter, also top off essential fluids for the brakes, clutch, and hydraulics. For maximum security, replace all the essential fluids with a fresh supply to prevent corrosion and rust. Make sure to add stabilizers to all the fluids to prevent deterioration. Drain the cooling system and replace it with fresh coolant. It’s also a good idea to run the engine once to ensure the stabilizers work their way into the engine. Taking these steps will ensure the WaveRunner is ready for use, and also preserve it for the future. Don’t forget to store the WaveRunner in a cool and dry place where it will be away from insects and other pests that could cause damage while the vehicle is unattended. 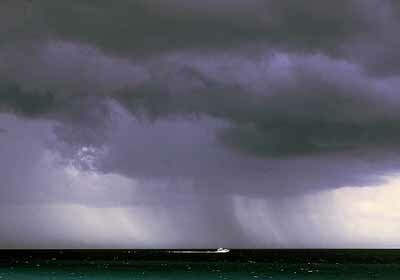 Even the most resilient outboard engines can be affected by weather conditions, and if not prepared, these weather conditions can cause the outboard to fail. For example, with two stroke outboard engines, cold weather can cause the spark plugs to foul. This situation would be caused by an improper gasoline to oil mixture, or using an inferior brand of outboard oil. While it’s hard to go wrong with oil that is TC-W3 certified, not all oils are created equal. The additives in certain brands of outboard oil can protect the engine against cold weather conditions. It’s also possible for the engine to overheat if the right outboard oil isn’t being used. Engines that overheat can be a serious problem, and during the summer, it’s all too common. Ensure that the correct outboard oil is being used in the engine to avoid overheating and the potential for significant damage to the engine. It’s also a good idea to stick with one brand of outboard oil, as opposed to switching between multiple brands depending on what is the cheapest. This will preserve the condition of the engine, and ensure that it has a longer life.